In exciting and potentially game-changing news within the industry, the new SkyTrak™ Personal Golf Launch Monitor and Golf Simulator will descend upon the United Kingdom in November. SkyCaddie, SkyGolf and SportTrack have combined to produce a tool that utilises the accuracy of a professional-grade launch monitor, with the high definition visual quality of a high-end golf simulator. Priced at £1,695, this digital technology innovation is now available for pre-order, with British golfers being able to do so either directly from www.skytrakgolf.com, or from their local professional. Having been unveiled to universal acclaim during Orlando’s PGA Merchandising Show in January, experts noted that the advanced device would be ground-breaking for the industry, with the pricing structure making it realistically affordable for individual players, clubs and professionals, with the system being compatible with both practice and entertainment. Through the use of photometric technology, SkyTrak is able to measure actual ball speed, launch angle, back spin, side spin and side angle in the aftermath of impact. It also presents carry, offline and total distance to simulate the authentic environment of playing on the course or practice tees. Intriguingly, SkyTrak presents the user with results from your genuine game, in the respect that golfers can use their own brand of ball when using the system. 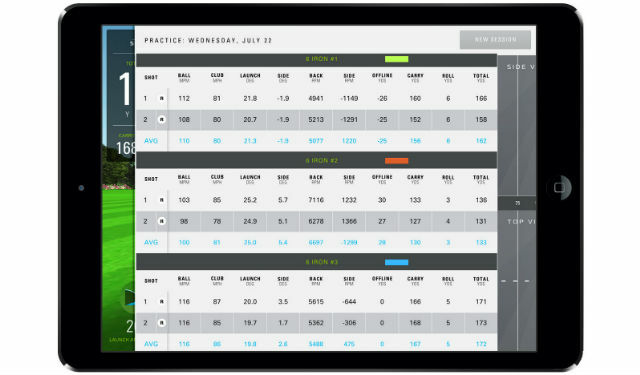 That crucially offers you information and data that can help to enhance your own game when playing competitively on the course. With an attractive variety of setup options available, users can configure their SkyTrak to display the data and information that they desire, with alternative views being on offer in the Driving Range mode. Though it may be an invigorating and intoxicating experience, SkyTrak is a tool that can accurately reflect the actual skill level and abilities of the golfer, providing users with the opportunity of year-long practice and improvement without having to actually leave the house. 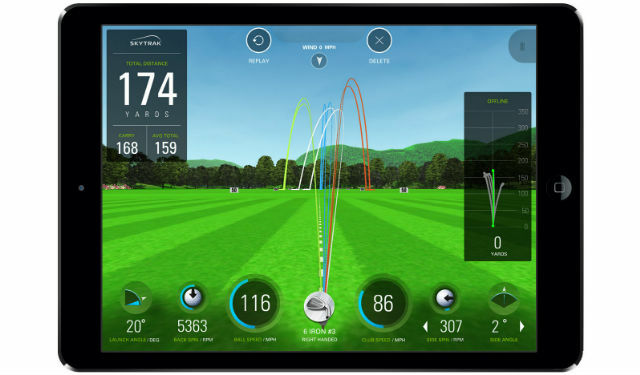 The entertainment aspect of SkyTrak is also appealing, with the ability to play as a solo-golfer or multi-user game offering the chance to practice within a group, with the accurate data gathering of a professional-standard launch monitor making it the complete product for serious users. The mini-games and improvement challenges on offer for practicing include Closest to the Pin, Longest Drive and Targets, in addition to Shot History Tables, Performance by Club and a number of other useful screens. 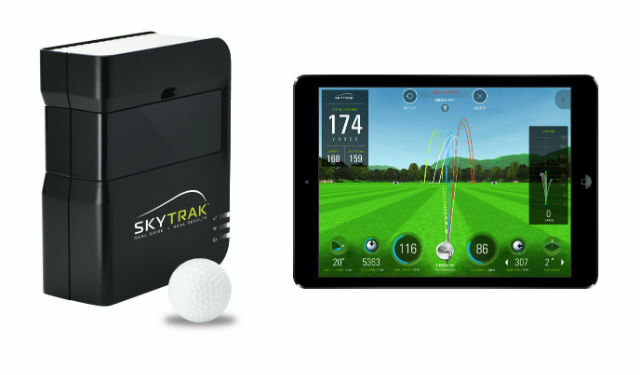 In creating its own Wi-Fi hotspot to quickly present your shot results on the screen, the SkyTrak is able to project ball flight over an attractive 3D practice range and virtual golf courses, which are dependent to which accompanying software you have selected. These exciting and fun games are available through the subscription of the SkyTrak Premium, which opens up all of the available mini-challenges. Perhaps the most notable of them would be the 9-Shot Closest To The Hole Challenge, which is played over nine different holes of the spectacular Kiawah Island Ocean Course that has previously hosted the Ryder Cup and a PGA Championship. Provided as a result of SkyTrak’s partnership with World Golf Tour, which is the number one online golf game on the planet. This particular challenge presents the user with a number of tests for their entire game, including Par Three tee shots, fairway approaches and recovery shots from greenside bunkers. It also serves as an appetiser for the full-length course play that is available on SkyTrak. As an extension to that challenge at Kiawah Island, golfers can pay a further annual subscription to gain access to each of the 20 high-definition courses that are available on WGT Golf. These include the Old Course at St. Andrews, Pebble Beach, Bandon Dunes, Celtic Manor, Pinehurst No. 2, Royal St. George’s and Chambers Bay. These courses all feature their own 9-Shot Closest To The Hole Challenge, offering an enjoyable variety of shots and visuals to golfers. In more exciting news, golfers will not have to wait until before the full-course play is available on SkyTrak from all of WGT Golf’s affiliated courses, with an annual subscription granting users access to some of the most iconic and famed layouts in the world. According to Senior Vice-President of International Sales and Marketing at SkyCaddie, Jacqui Surman: “SkyTrak delivers commercial-quality ball flight simulations which reflect a golfer’s actual performance for game improvement and entertainment at a price far below comparable alternatives. 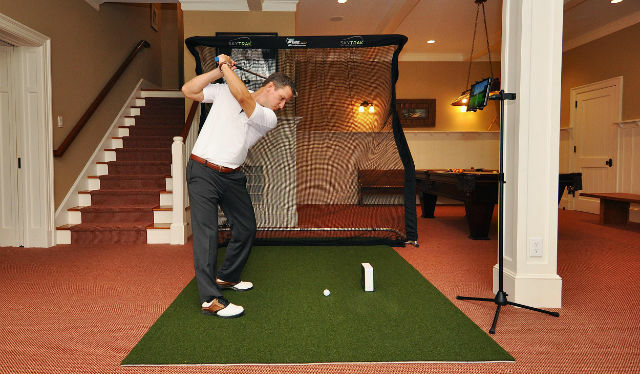 “This enables golf professionals to use it in custom-fitting situations, and it also provides an accurate and realistic in-home golf experience that both entertains and makes you a better golfer. “The addition of WGT Golf and other software suppliers to SkyTrak allows us to add more ways for golfers to practice, play and be entertained on some of the world’s most famous golf courses. “With SkyTrak, golf clubs can now install a reference-quality golf simulator in their clubhouse, and can invite golfers to play on rainy days or after dark” said Surman. “The potential to build social events around SkyTrak is a significant factor in its growing success. 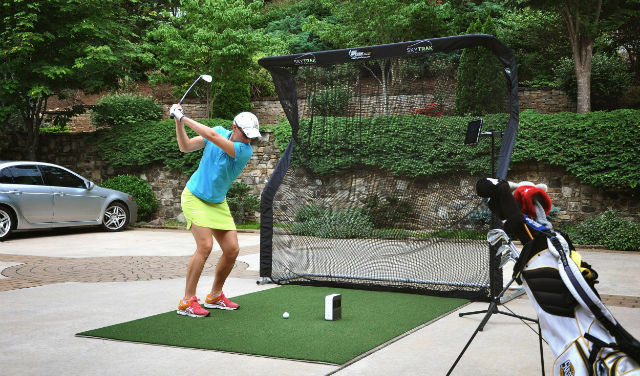 “SkyTrak will also be popular with golf professionals who are looking to introduce accurate launch monitor technology to their golf lessons and custom fitting sessions. Additionally, a PC version of the SkyTrak App will be made available in autumn 2015, with efforts already being well underway with several software suppliers to provide SkyTrak users with the ability to play a wide variety of golf courses virtually on their desktop computer or laptop. These suppliers include TruGolf, who produce the successful E6 Golf simulator software, and The Golf Club Game, which possesses thousands of courses that have been designed through the imaginations of online users from across the world. Users of SkyTrak will have the opportunity to access an ever growing number of golf courses to play on the simulator. There is a menu on the App that enables golfers to select which of the software options they wish to play through, with annual subscriptions differing according to the supplier. For those looking at purchasing SkyTrak, it is recommended for use with the following compatible iOS products: iPad Air, iPad Air 2, iPad Mini 2 (with Retina), and iPad Mini 3. Versions of the SkyTrak App for other platforms will be released in near future. Certain to be popular with golfers across the country, pre-orders for SkyTrak should be placed now to avoid disappointment when the product begins shipping to UK golf stores in November 2015. To order SkyTrak in the UK please contact SkyCaddie UK at [email protected] or call 01844 296350.